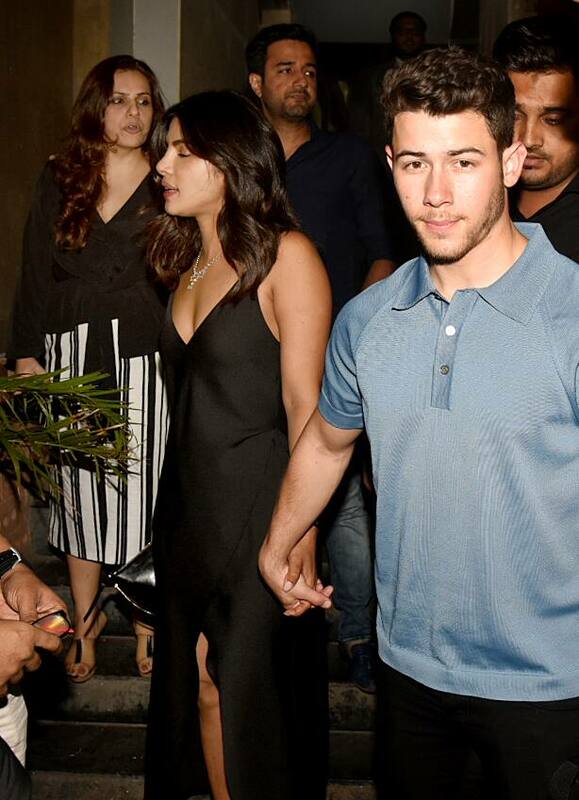 Global icon Priyanka Chopra, who is in India to complete the shoot for 'The Sky is Pink' was joined by her fiance Nick Jonas on Saturday, were spotted at Juhu's Koko Hotel with Priyanka's close friend and writer Mushtaq Sheikh. 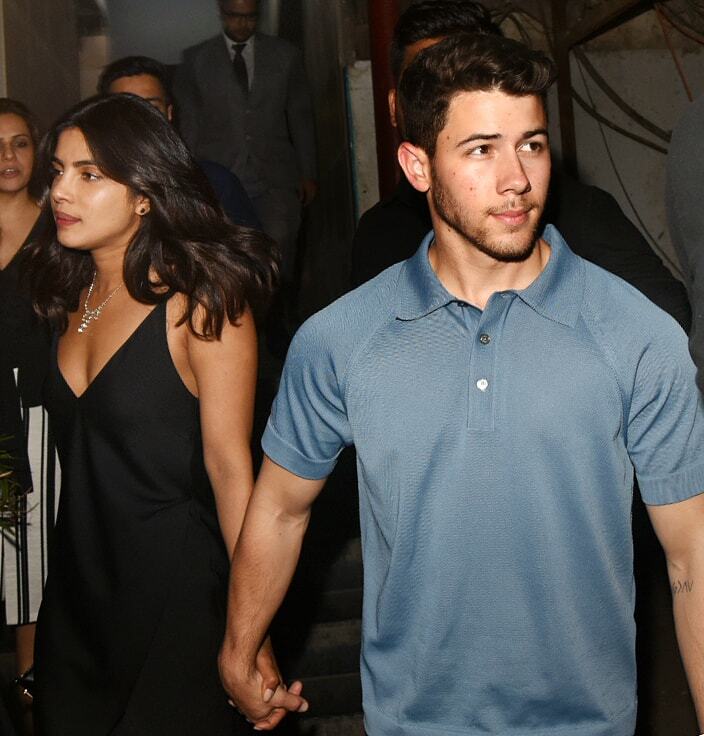 The actress was seen in black with Nick in a bluish grey T-shirt. The two stepped out hand-in-hand with Mushtaq by their side. The singer flew down to Mumbai to be with her as she shoots for her film 'The Sky Is Pink'. 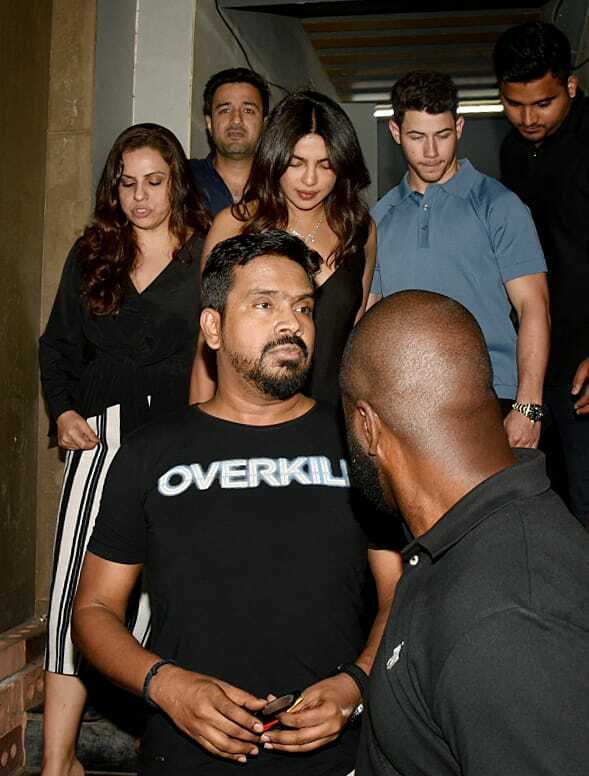 Priyanka is currently shooting for Sky is Pink which also stars Farhan Akhtar and Zaira Waseem. The actress recently shared a photo of herself dressed in an off-white dress with a caption, 'Reflections'. In the movie, Priyanka plays the role of Aditi Chaudhary who is the mother of motivational speaker and author Aisha Chaudhary, reports DNA. Zaira Wasim plays Priyanka's daughter in the film and it will be interesting to see the two actresses share screen space for the first time. The film also stars Farhan Akhtar. Priyanka and Farhan were last seen together in 'Dil Dhadakne Do'. The film has been written by Shonali Bose and the dialogues have been penned by writer Juhi Chaturvedi. Bose has earlier directed offbeat films like 'Margarita with a Straw' and 'Amu'.